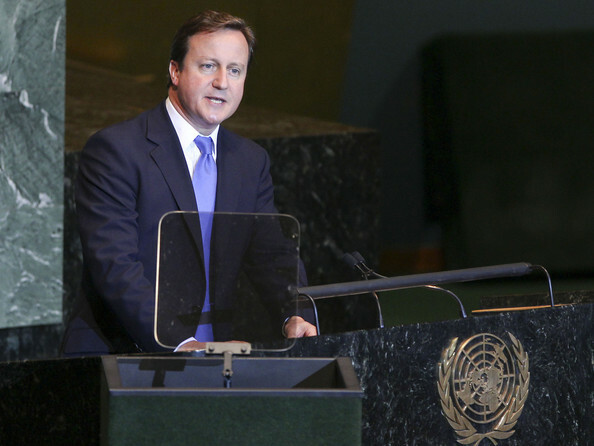 David Cameron has been asked by the UN secretary general, Ban Ki-moon, to chair a new UN committee tasked with establishing a new set of UN millennium development goals to follow the present goals, which expire in 2015. – The immediate question now is who will be the other co-chair – or co-chairs. Two co-chairs is the norm for this kind of UN exercise, one from a developed and one from a developing country, but three co-chairs is not unheard of (e.g. the 2006 High-level Panel on System Coherence). If there were three, expect one to be from an emerging economy and one from a low income country. – It’ll be safe to assume that the other co-chair[s] will be serving heads of government too. If I had to make a guess right now on people, I’d go for Dilma Rousseff from Brazil as the emerging economy candidate (especially as the Rio+20 summit in June is the launchpad for the Panel), and maybe Ellen Johnson Sirleaf from Liberia. Meles Zenawi would be another obvious choice, but he chaired a recent UN panel on climate finance so may be out of the running, plus the UN will want to have gender balance among the co-chairs. – Another big question is who will head up the secretariat that supports the Panel. The recent trend has been for the secretariat head to come from within the UN: this was the case on both the Global Sustainability Panel last year (which I worked on), and the 2006 system coherence panel). But there’s also precedent from them to come from outside (Steve Stedman’s role on the 2004 panel on Threats, Challenges and Change being the obvious example). – In terms of substance, the direction of the post-2015 agenda is currently heading towards the idea of Sustainable Development Goals. The Rio+20 summit will probably call for SDGs as a key summit outcome, but duck the issue of what those Goals should cover – passing the political heavy lifting straight to the Panel that David Cameron will be co-chairing. – Expect the politics of this agenda to become very challenging and complex over the next 12-18 months. We did a backgrounder on SDGs a couple of months ago, which gives a quick overview; we’ll also be publishing a more up-to-date analysis paper through the Brookings Institution very shortly. – On the domestic political aspects, Patrick Wintour’s analysis in the Guardian is undoubtedly right that this will firmly lock in the government’s commitment to spending 0.7% of national income on aid. At the same time, David Cameron’s chairmanship of the Panel will also allow him to argue to domestic audiences that he’s pushing internationally for a more hard-headed approach to aid – an argument that Conservative Home is already running with approvingly. Update: if you’re wondering about how David Cameron sees the development agenda, take a look at this speech from last year. This entry was posted in Economics and development, Influence and networks, UK and tagged Ban Ki-Moon, david cameron, MDGs, millennium development goals, post-2015, UN, United Nations by Alex Evans. Bookmark the permalink.